Chatrium Privileges is our most exclusive club for our most loyal guests. 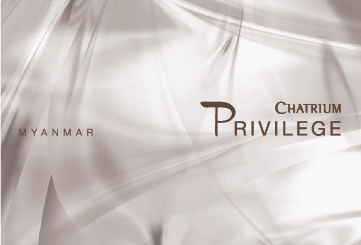 Live the Remarkable like never before with a specially crafted list of privileges that are reserved only for members of Chatrium Privileges - Myanmar. With Chatrium Privilege card, a world of Luxurious indulgence awaits to ensure that you stay is nothing sort of remarkable. If you are not already an existing member and would like to join, simply visit our “Join Us” page, where you can fill in an application form online. We look forward to seeing you soon at one of our distinct destinations across Myanmar to Live the Remarkable. Chatrium Hotels & Residences is born from a passion to provide uncompromising, warm service and a truly captivating experience.